The U.S. Department of Labor ("DOL") recently weighed in on the issue of employee misclassification, suggesting that a large number of employees are being improperly classified as independent contractors. On July 15, 2015, the DOL issued guidance on the standards for determining who is an employee under the Fair Labor Standards Act ("FLSA") (The full memorandum issued by the DOL can be accessed at the DOL website). Although the DOL’s guidance does not significantly change the current legal test for determining who is an employee and who is an independent contractor, it provides a detailed interpretation of the relevant factors to be considered in making that determination and suggests that many of these factors weigh more heavily in favor of classifying workers as employees than what employers may have previously thought. 1. The extent to which the work performed is an integral part of the employer’s business. This factor looks at the focus of the employer’s business and whether a worker’s duties are central or ancillary to that focus. For example, hiring a carpenter to assist in framing homes would be an integral part of the business of a construction company, because that is the focus of the company’s business. In contrast, a software developer hired by a construction company to design a new tracking system for orders would not be integral to the construction company’s business. If the work is considered integral to the employer’s business, the worker is more likely to be considered an employee. 2. The worker’s opportunity for profit or loss depending on his or her managerial skill. The focus of this factor is not the worker’s ability to work additional hours in order to earn more. Rather, the worker’s "managerial skill" concerns the ability to make decisions, such as negotiating better contract prices and deciding which jobs to perform, in order to improve potential profits. Workers that exhibit "managerial skill" are more likely independent contractors, while workers that do not are more likely to be considered employees. 3. The extent of the relative investments of the employer and the worker. This factor looks at not only the worker’s investment (such as providing his or her own equipment), but also the relative level of that investment in comparison with that of the employer. If the worker’s investment is relatively minor compared to the employer’s investment, that would tend to indicate an employment relationship. 4. Whether the work performed requires special skills and initiative. The special skills required to indicate whether the worker is economically dependent on the employer include business skills and judgment, not specialized technical skills. For example, an carpenter providing skilled services for a construction company is not necessarily exercising the "special skills and initiative" referenced by this factor solely by providing skilled labor. Making independent judgments, such as determining the sequence of work or determining when additional materials need to be ordered are the types of decisions demonstrating "special skills and initiative" under this factor and are indicative of a independent contractor. 5. The permanency of the relationship. Permanent workers are more likely to be considered employees, but even workers hired on a periodic basis can still be classified as employees. The key question is whether the lack of permanence in the relationship is due to operational characteristics intrinsic to the industry (i.e., the work is only periodic on a project-by-project basis) or due to the worker’s own business initiative (i.e., the worker chooses their own projects and who they work with). Workers that work with multiple companies rather than a single employer are more likely to be considered independent contractors. 6. The degree of control exercised or retained by the employer. To be considered an independent contractor, the worker must actually exercise control over meaningful aspects of the work performed. This includes things such as determining the hours to be worked, which projects to take, and how the work will be performed. According to the DOL, each of the above factors must be analyzed in relation to one another and in light of the overarching principle that the FLSA should be liberally interpreted to provide broad coverage for workers. Historically, the control factor was given more weight in determining whether a worker was classified as an employee or an independent contractor. However, according to the DOL, the analysis should be balanced so that no single factor is overemphasized or determinative, including the control factor. Notably, the DOL also directly stated that "most" workers are employees under the FLSA. Based on this guidance, it appears that the DOL’s position is to heavily favor classifying workers as employees, which could pose issues for employers who rely on independent contractor classifications for parts of their workforce. The penalties for misclassification can be very costly for employers, including payment for multiple years of back overtime wages and benefits for workers, as well as unpaid withholding taxes. As a result, employers should consider evaluating their current independent contractor relationships to avoid potential misclassification in light of the the DOL’s guidance. 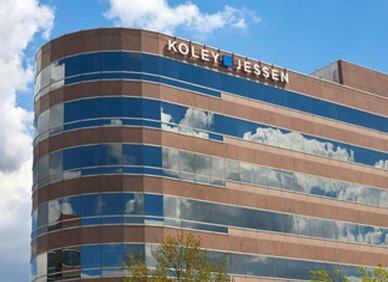 Please contact a member of Koley Jessen’s Employment, Labor and Benefits Practice Group if you have questions regarding the impact of the guidance on your workforce.